AUTOS ONLY 24/7 Year-round Access. Enclosed, underground and heated to between 60-70 degrees. 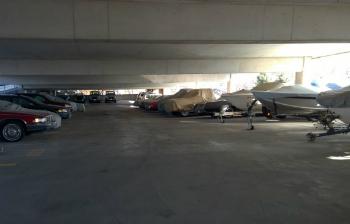 Clearance is 6' 10"
AUTOS, BOATS & MORE 24/7 Year-round Access. 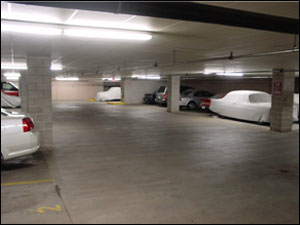 This area is located on the 2-1/2 level of the ramp, is outside, open on the sides and covered by the parking deck above. 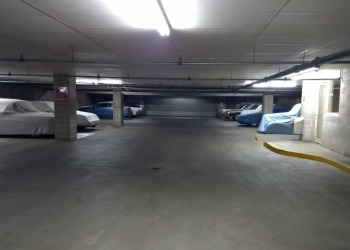 It is secured and separated from the general public parking. Clearance is 7'. AUTOS, BOATS & MORE 24/7 Year-round Access. 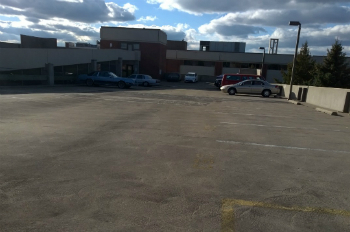 This area is located on the top level of the ramp, is outside, and is not covered. It is secured and separated from the general public parking. Clearance is 7'.